Love must be one of the most over used and perhaps undervalued words in the dictionary. I’m just as guilty as anyone else, declaring my love for cheese on toast, lying in the sun, or, confession time, Raymond Chandler. In the true sense of the word I wouldn’t say I really love any of those things. For me love means an awful lot more than just liking something rather a lot. Actually in the language of my scriptures, Sanskrit, the word love is only used in connection with God. These texts, known as the Vedas, are quite specific about love. For a feeling to qualify it must be devoid of selfish desire. 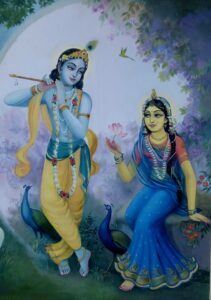 The epitome of such love is exhibited by Lord Krishna’s consort Radha. 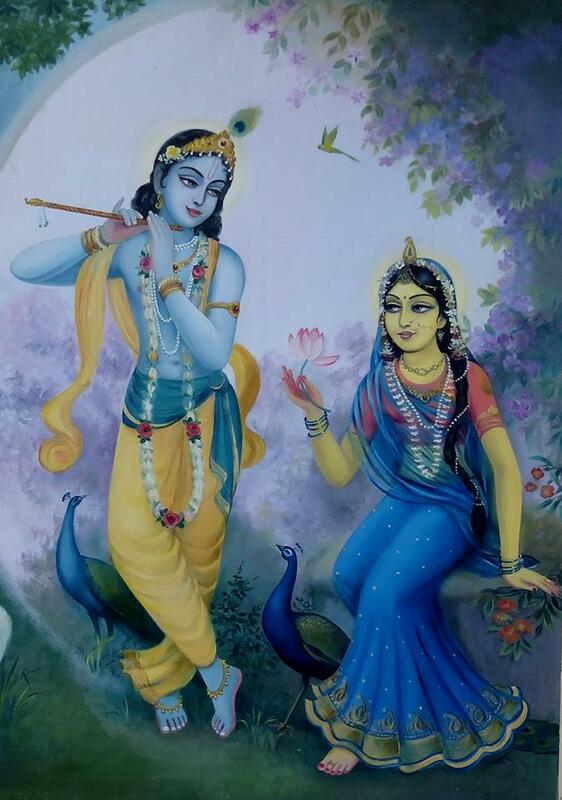 She once declared that Krishna’s happiness was also hers, and if somehow her sadness would make him happy, then that very sadness would become her greatest joy. In this world however, love is all too often a kind of mutual back scratching. As long as the other party is in some way pleasing to me the relationship endures – but should they become troublesome, or maybe just boring, there’s every chance it will end. Even between parent and child, perhaps the strongest bond, we find relationships breaking down. What to speak of romantic relationships, where heartbreak is sadly all too common. I have also reached this conclusion, and, as much as I love sitting down with a slice of cheese on toast and a copy of The Big Sleep, I don’t think it will ever truly satisfy me in the same way as my love for God.